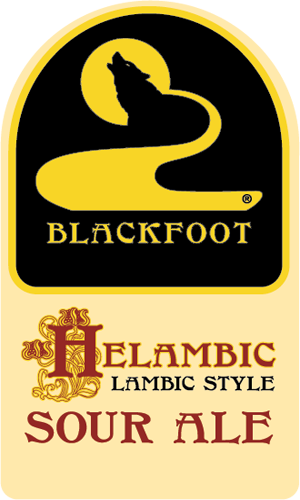 Blackfoot’s Helena Style Lambic (Helambic) was created in a similar fashion as a traditional Belgian Lambic. This beer was fermented and conditioned in oak wine barrels for 16 months with Belgian yeast, Brettanomyces (wild yeast), and Lactobacillus. Helambic is a golden ale with a complex flavor and aroma of oak, Chardonnay, tart apple, and lactic sourness.